SD-WAN technologies are one of the most impactful solutions to hit the IT market in a long time. These installations have proven to help enterprises save money, provide network support where and when it’s needed, as well as support network security. An SD-WAN solution doesn’t just benefit the company itself though – the business’s customers reap the advantages of this technology as well. Reliability of critical applications is crucial no matter who is leveraging them. When it comes to customer-facing platforms, though, it’s not enough to simply provide access and hope for the best. Dependable access alongside an advantageous user experience is always a must. In the past, companies looked to increase their bandwidth to support their reliability needs, which proved to be incredibly expensive. What’s more, additional bandwidth doesn’t always solve the issue. Today, though, times have changed. An SD-WAN deployment uses real-time network conditions and critical connectivity metrics to make intelligent decisions about how to treat priority data packets – such as those associated with customer-facing applications. In this way, customer data traffic can be properly prioritized, ensuring network support and robust performance. What’s more, an SD-WAN supports seamless failover, ensuring that any service outage doesn’t impact customers’ ability to access important public applications and platforms. The creation of a failsafe network is just one of the benefits that Meritrust Credit Union discovered with its SD-WAN installation, allowing employees to provide the best customer service possible. To find out more, check out our case study outlining our work with Meritrust. SD-WAN solutions are also ideal for companies with branch offices across the country, or across the globe. 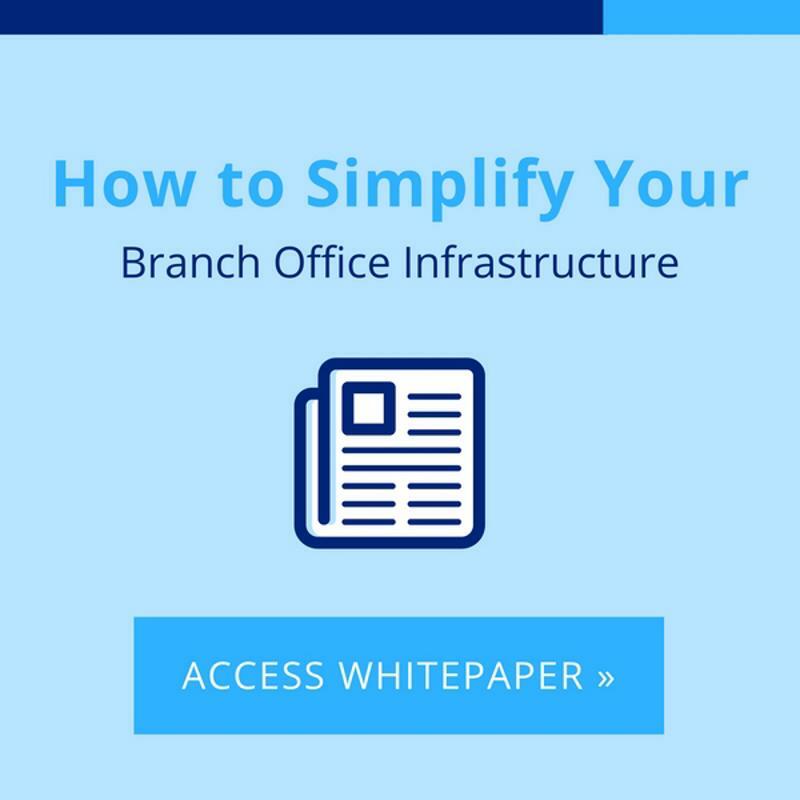 An SD-WAN solution at each branch location means that every office will have reliable application performance, as well as network support that works to correct and avoid any issues like jitter or latency. This means your business will be in a better position to provide consistent customer service, no matter where clients connect with your brand. An SD-WAN solution is especially helpful in cases when the IT team doesn’t have a technically inclined employee present on-site at the branch location. Staffing of this kind is typically cost-prohibitive, but companies still need to ensure application performance and network support at every office. An SD-WAN works proactively to provide the best end-user experience without the need for human interaction. For more information, check out this blog that discusses these benefits in more detail. Thanks to the proactive support an SD-WAN can provide, executive and IT stakeholders can shift their focus from preventing IT pain points to the business’s core operational goals. An SD-WAN ensures that problems like jitter, latency and packet loss are mitigated to offer the best critical application support possible. Any degraded network links or those suffering an outage are proactively avoided, making sure that traffic takes the best path every time. With technology like this on your side, your business will see a considerable decrease in helpdesk calls, and will have more time to focus on the mission-critical activities that really matter. To find out more, check out this piece that shows the other items your company can focus on when common network issues are prevented thanks to SD-WAN.